Sometimes we just don't know which way to go. When an arrow is pulling you backward during difficult times it just means you're about to be launched into something great. So if you go left or right really doesn't matter, the key is make a choice & GO! This stamped arrow ring is your reminder. These rings are 1/8 in & looked great stacked together. 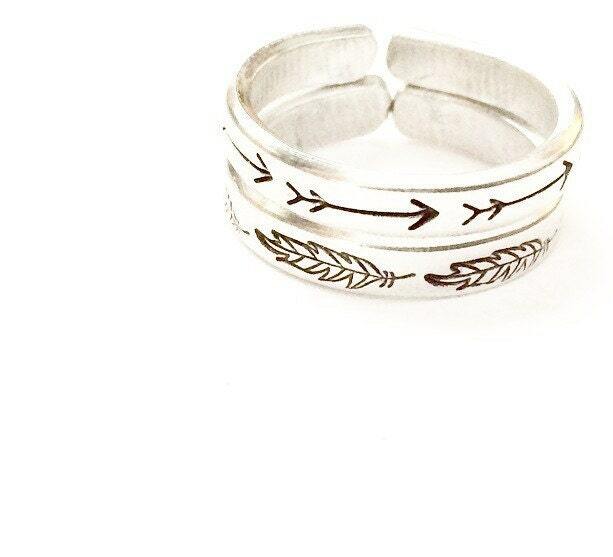 Listing is for arrow ring ONLY.